The history of Australian beer actually began before British settlement of the continent. Captain Cook brought beer and the supplies for making more beer on his voyages. In the event that the water stored on the ship went bad, the crew would use it to make beer because the fermentation process would kill the bacteria in it. During the early years of the colony, the currency was rum. Commonly called "grog," rum also helped control the distribution of power in the colony: those who had it had the power, and those who did not have rum wanted it. The grog often drunk in Australia was not pure rum, but it was frequently watered down. Sometimes, the watery rum was even mixed with molasses. The consumption of rum, by adults as well as children, caused excessive public drunkenness, which offended free newcomers and some high officials in the colonies. As a result of this (and probably also because the rum trade affected the distribution of power), they decided that something had to be done to stop it. Early Australian beer was based on English and Irish ale. Within a few years of British settlement in Australia, those living in the colony began to use local ingredients in their brews, such as plants and local wild yeasts, marking the beginning of the colony's deviation from traditional English ale. •John Boston was the first significant brewer in Australia. He began brewing in the– late 18th Century. His brew created in 1796 used Indian corn and cape gooseberry leaves, and it is said to have been the first brew to have more qualities of beer than those of ale. The corn was probably used in place of malted barley or hops, and the Cape Gooseberry leaves were used to bitter the ale. Neither the Indian corn nor the Cape Gooseberry leaves are native Australian plants, but Cape Gooseberry leaves were grown in Australia because they were originally from Brazil and suited to the climate. The •Mason Arms was the first legal pub in the colony. It was –built in Parramatta in 1796 by James Larra, an emancipist, only a few months after the government began issuing licenses for the sale of alcohol. 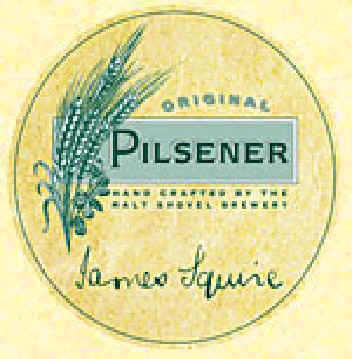 Today, Malt Shovel Brewery has several brews named after James Squire, such as James Squire Original Pilsner and James Squire Original Amber Ale. Each label contains a little story about Squire and there are six stories in all. There was actually one government owned brewery. It was located in Parramatta and opened in 1804, but it was bought out just two years later in 1806. 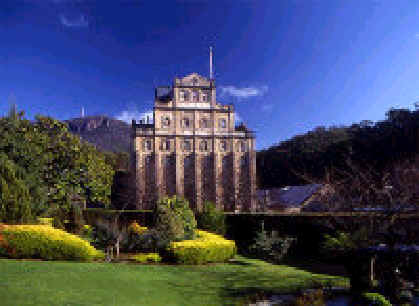 Cascade Brewery is the oldest brewery in Australia still used today. It is located in Hobart, Tasmania and was established after 1826. Its founder, Peter Degraves, came to Australia in 1824 from England and was thrown in jail in 1826 under the accusation that he did not pay all of his debts in England. Early Australian beer, as previously mentioned, was based on English and Irish ale, but it was not long before colonial brewers began adding different ingredients. Often, local wild yeasts were used, and some wild plants were used to bitter the brew. The wild yeasts were not good and did not react well in the beer. Additionally, ales were not suited to the climate. Not only did the heat make the brew poor, the drink was fermented and stored at warm temperatures, so it was not refreshing to a parched tongue. As refrigeration developed, a solution to the ale problem was also in its beginning stages in Australia. Lager was introduced, and although it had a slow beginning, lagers are now the main type of beer sold in Australia. Lager ferments at a cooler temperature than ale, so in order to make lager in much of Australia, refrigeration was necessary. In 1885, the Gambrinus brewery in Melbourne opened. It was Australia's first lager brewery. Lager can be characterized by being light, cold, gassy, and refreshing. These qualities make lager much more appealing to drink than the warm and heavy ale. Additionally, lager has less alcohol by volume than ale, so one could drink more lager to obtain the same amount of alcohol as a glass of ale, which was appealing to some in the colonies. The brewers of lager in Australia tried to give it a big flavor like that of English ale, so they used high levels of malted barley and hops to flavor it. This made Australian lager, in general, different than lager from other countries. American lager, in comparison, has much less flavor because it is made from larger amounts of corn and rice, which do not give as much flavor to the drink. Moreover, brewers of American lager were more concerned about the quality of the water used to make it than it having a big bold flavor. Suggestions of food choices are given in the table below for several Foster's brews. Information in the table came from Food and Beer and the Foster's Group Web site. Anzac Day is the only day on which all Australian pubs are closed.